CHIP funding expired almost three months ago on September 30, 2017, and families across the country are receiving disenrollment notices. No family should feel the fear and worry of whether or not their child will have health care coverage. It’s critical that Congress pass an immediate CHIP funding extension for the 8.9 million children dependent upon this bipartisan success. Congress last extended CHIP as part of the Medicare and CHIP Reauthorization Act of 2015 (MACRA), legislation that passed with overwhelming bipartisan majorities. The most recent stop-gap measure passed in Congress to fund some states through December or January, is not enough. 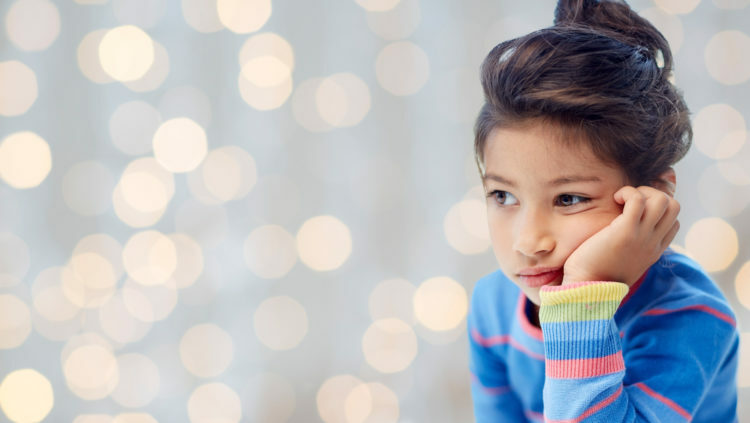 Millions of families across America have been left dangling about their children’s health care as we enter the holiday season. There is no excuse for additional delays on extending this critical and wildly successful program for children, and to do so is harmful. No family should go through the holiday season worrying about how to pay for their child’s health care. Children and their families are counting on Congress to extend CHIP funding now — without any further delay or excuses. Read our letter to Congress, signed by more than 1,000 organizations. 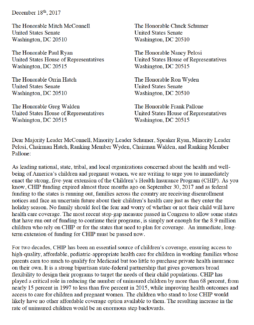 As an individual, sign on to our petition to ensure that CHIP continues to help the families and children who need it most.